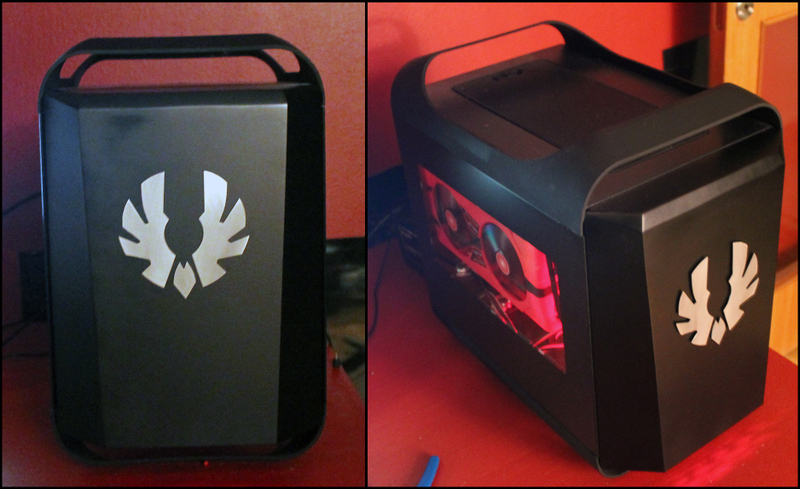 This is a mod based on Bitfenix Prodigy ITX case. My workstation needed a upgrade, i was tired of big cases and wanted something smaller. But, the Prodigy in its standard config only have space for one 240mm radiator, i was planning for using two 240mm rads, but where to put the second? At the same time as i did this mod, Bitfenix released the Shadow and i was pretty found of the style to the Shadow, so i made a scratch front piece for my Prodigy with style and feel from the Shadow. This case can house another 240mm radiator inside the front panel. It ended up like this.